Here’s a quick peek at what I found on my morning desert walk in Las Cruces today. Before we moved to the Southwest, I envisioned it as being brown and largely barren of plant life – okay, maybe a few cactus. I’m always surprised when I make a quick stop to count all the varieties of plants I see along my way. 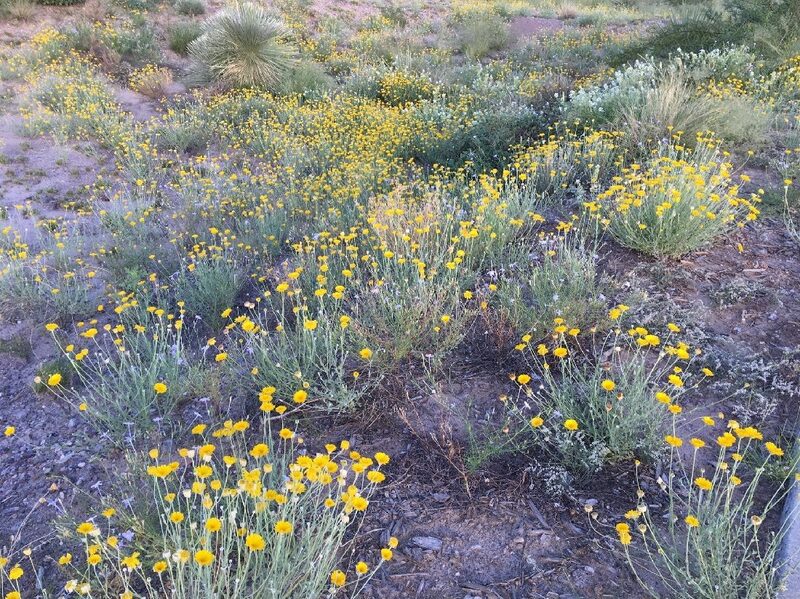 Many cactuses and shrubs flower throughout the year, but when we receive the tiniest amount of rain, the desert goes wild with color. To see more, please visit an earlier post from this year, High Desert in Bloom.